Larimer County, Colorado Horse Directory - O Horse! Before thermography, veterinarians could only locate problems using traditional methods such as observation and palpation. Now, using advanced equine thermography, abnormalities present stressed tissues even before damage occurs. Since animals cannot speak, it has been difficult for caretakers to truly identify hidden or masked conditions. Now with infrared thermal imaging, many of these physiological and anatomical issues are exposed at a much earlier stage. Early detection = early prevention. Physiological imaging, such as infrared imaging, has the ability to not only see tissue conditions but can also recognize areas that are indicative to anatomical issues. We come to your facility to care for your horse(s) the way you want things done. Attention to detail so everything is done just the way you want it done. 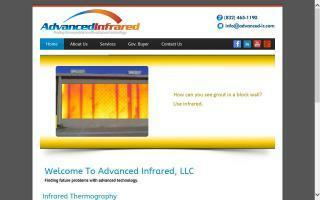 Free 30 minute consultation. We can also take care of dogs, cats, llamas, alpacas, cattle, sheep, and goats. Visit our web site or call Sue for more info. Barns by Gardner employs some of the highest standards in quality construction to create custom wood barns for horse lovers. We'll work to create the barn of your dreams, including safe stalls, convenient tack, and feed storage - perhaps even a place for grooming or veterinary care. You may also want fencing, paddocks, runs, or even a carriage house. 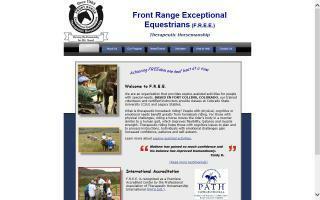 Whatever your special needs, we'll design a package to suit you and your animals. 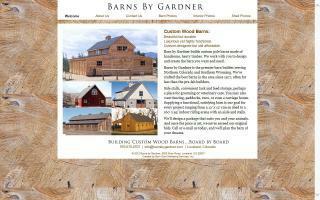 Barns by Gardner has been locally owned and building barns since 1977. James Damone provides high quality farrier services ranging from basic trims to therapeutic shoeing. Customers appreciate James' professional, courteous service along with the quiet horsemanship and quality work. Hot shoeing, cold shoeing and trims. 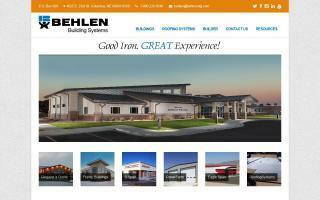 Serving northern Colorado and southern Wyoming. Please call to set up an appointment or with any questions! 248-842-5798. For more information and a complete gallery of my work please check out my website! EagleSpan offers a wide range of solutions for your needs, whether you're looking for heavy structures, barns, stables, sports facilities, or any type of large steel structures. 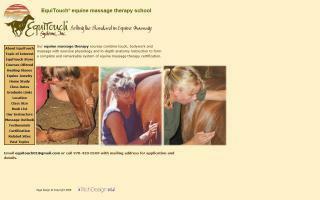 Equine massage therapy certification program. Over 14 years of excellence in teaching touch, bodywork, and massage combined with exercise physiology and in-depth anatomy instruction to form a complete and remarkable system of equine massage therapy. English saddles, western saddles, endurance saddles, Australian tack, and miniature saddles/tack. Discount pricing.